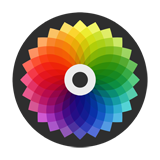 Continue reading Color Labs, Inc. takes rights to your photos if you use their Color app! Posted on March 25, 2011 March 25, 2011 Categories iPhone, Software8 Comments on Color Labs, Inc. takes rights to your photos if you use their Color app! Apple released the iPhone 2.1 software update that contains many bug fixes and improvements. To get it, connect your iPhone to your computer using iTunes 8 and click Check for Update.